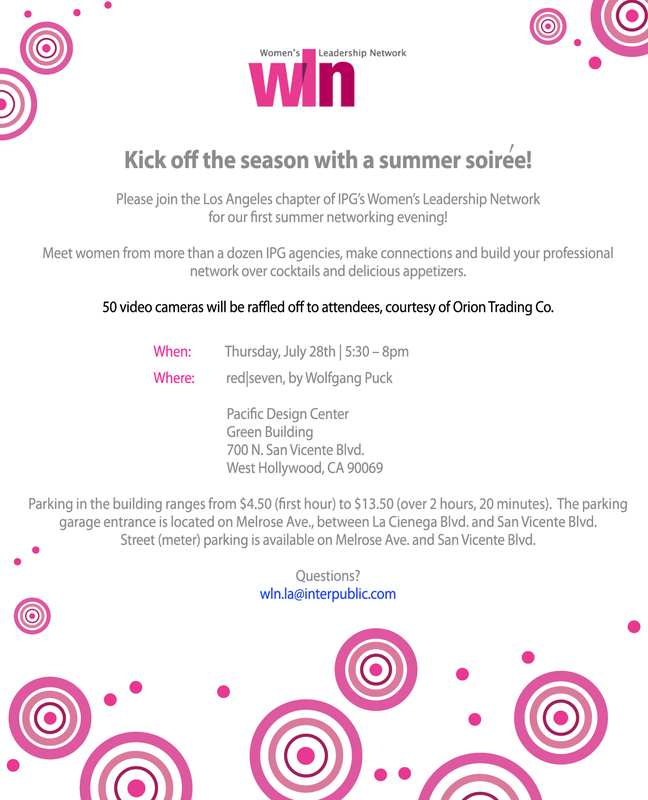 The Los Angeles chapter of IPG Women’s Leadership Network invites you to Kick off the season with a summer soirée! 2011: A Social Media Explosion! How Savvy Are You? WLN Los Angeles has brought women from various IPG agencies together to help build collaboration, promote visibility and provide career guidance – all in a creative and fun environment. Past signature events include our “Women, Wine, and Leadership” networking event featuring guest speaker Graciela Meibar, Vice President Global Sales Training and Global Diversity of Mattel Inc. Personal stories, many not often heard, were shared by local IPG women leaders at the “How Did She Do It?! Success, Sanity and Life Balance” session. Women who attended our holiday networking event not only received many tips from Jayme Barrett, Feng Shui expert and best-selling author of “Feng Shui Your Life,” but also learned the art of sushi making hands-on during an interactive class with Sushi Girl. Our most recent event was a huge success, WLN LA’s first annual client leadership roundtable brought together a panel of top women executives from different fields to share their personal perspectives and experiences in a stimulating discussion. We look forward to building and strengthening our chapter together with you!